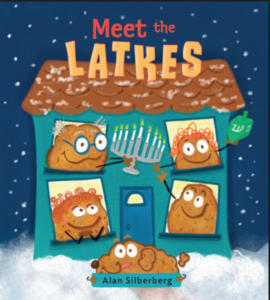 Meet the Latkes by Alan Silberberg was an instantaneous hit in our home. 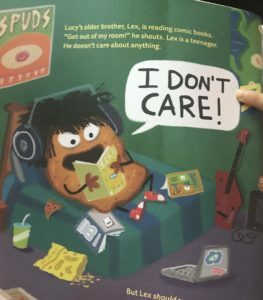 Lucy Latke and her crazy potato latkes family won us all over completely (except our teen who doesn’t care). While none of us are potato latkes, we all found many similarities to our crazy human family. Grandpa Latke tells Lucy the tale of Chanukah only his version is a fantastical tale of Mega Bees stinging green alien spuds. Applesauce, the family dog, must set the record straight. After reading the story five times (day 1), I tweeted about how much we enjoyed it and how we were struck by the verisimilitude of Lex and our grumpy teen. 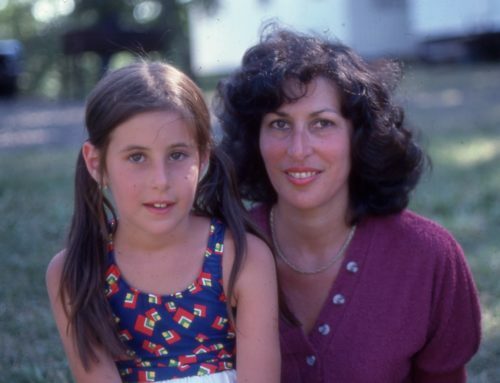 They even have the same hair! 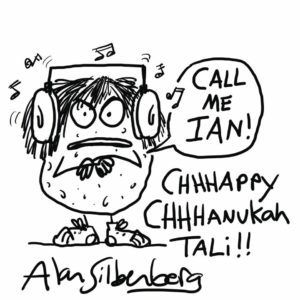 The author, Alan Silberberg, responded with thanks and also made a personalized sketch for my latkes. 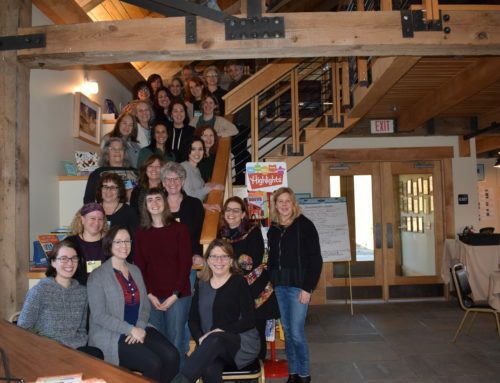 Meet the Latkes is another excellent book from PJ LIbrary that is going to be a family favorite for years to come.